Heeft u een vraag voor Hostel Korea Original? Gesitueerd in het gezellige Gangbuk, geniet het Hostel Korea Original in Seoel een goede reputatie onder reizigers met een interesse in restaurants, bezichtiging van bezienswaardigheden, winkelen. Het hotel ligt niet zo ver van het stadscentrum: de afstand is ongeveer 0.1 km en het duurt normaal ongeveer 55 minuten om het vliegveld te bereiken. Dankzij de praktische locatie liggen alle belangrijke trekpleisters in de buurt van het hotel. Het Hostel Korea Original biedt tevens vele faciliteiten om uw verblijf in Seoel zo aangenaam mogelijk te maken. Gratis wi-fi in alle kamers, boodschap bezorging, wasserette, draagbare wi-fi verhuur, post service zijn slechts enkele van de faciliteiten waarmee het Hostel Korea Original zich onderscheidt van andere hotels in stad. Alle accommodaties beschikken over doordachte voorzieningen om een ongeëvenaard gevoel van comfort te garanderen. Het hotel biedt geweldige recreatiemogelijkheden die uw verblijf onvergetelijk zullen maken, zoals skimateriaal verhuur, skilessen, skiën. 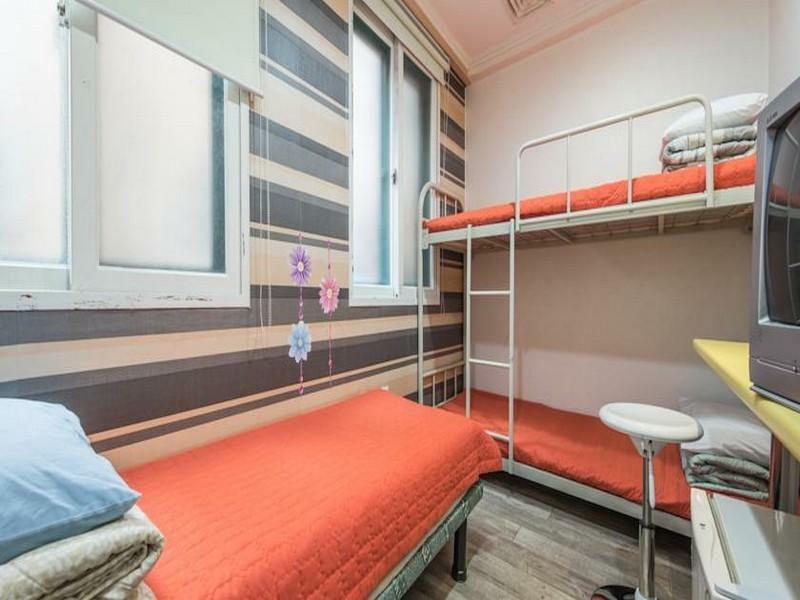 Geniet van ongeëvenaarde dienstverlening en de prestigieuze uitstraling van het Hostel Korea Original. Excellent quality for the price. The area is quiet, though a bit far away from some of the tourist sites. If you are comfortable learning and using the bus and rail lines, it's just fine. There were a few places the cleaning could be a bit improved; there was a bit of dirt under the toilet rim and some rust rings in the toilet, but nothing I felt was harmful or disgusting. Single private room is large. So I went to Korea during the Christmas holiday last year and stayed here. I'll have to say that my first impression of the hostel at was not very good but the staff there is super nice!!! They were funny and I remember cooking jjajangmyeon wrong lol but the staff was there having a meal on the same table with us guests and he fixed the jjajangmyeon for us and he spoke Korean to us so we could learn Korean so it was soooo much fun!! You can ask them to order food for you too! The room are small but I still feel very comfortable and warm being there:) And it's super easy to travel from place to place too since the "Dongmyo" subway station is very close. If you want to travel comfortably I recommend taking 6002 bus from the airport it'll stop super close to the hostel:) And yes, you can go to Airport from the same station too, it'll say "airport bus" or something like that. It's 10000₩ I really miss this place!! Will definitely stay here again!! 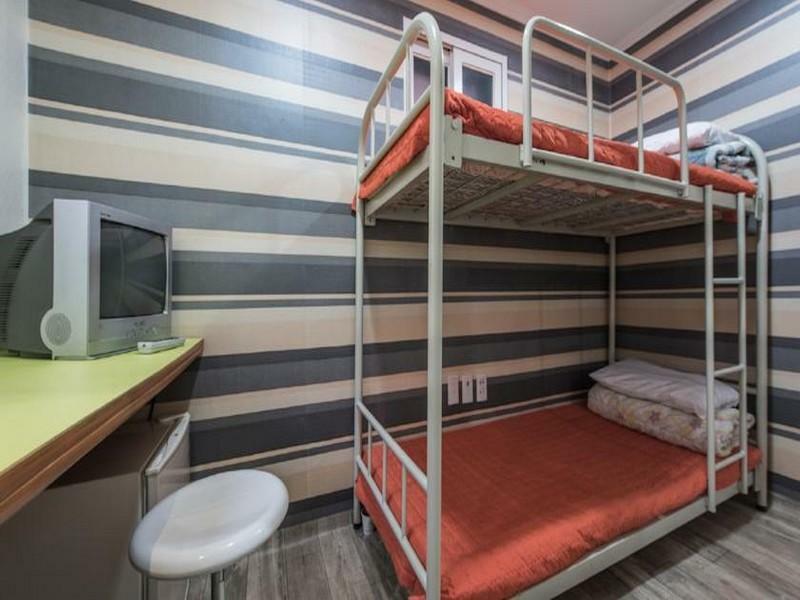 The average scoring was 7.5 marks for this hostel, but I would give 9, or even higher. The undesirable aspects were perhaps as previous guests had mentioned, the bath-room was too small, and bathing would make the toilet all wet. All other aspects were so satisfactory. Almost every provision required by guest was provided: including umbrellas, public kitchen, electricity chargers (no deposit was required, but just marking in record), small refrigerators in individual rooms (even the rooms were small), and even ordering take-away catering for guests. Very near to Shinseol-dong metro station: go out at Exit No. 11, walk along the shops to turn right, and when you see some small Korean restaurants in the small alley, cross the road to that side, walk pass 2 lanes and turn left, then the hostel was there. Just 2 minutes in total from the metro exit! Staff were nice and easygoing. I will definitely go there again in future, which is near to the nearby flea market too. It was a very great stay in Seoul, i stay in 14 days whole package. The location is great, only 5 mins walking from sinseol-dong station, some people say the location is a little bit off, but it's only 2 stations from dongdaemun and its walkable! a lot of nice and cheap food stalls, restaurants and conv.store near the hostel. The staff is great and super friendly! All of them are speaking english fluently, and they always giving you the tips for visiting main attraction in Seoul. Thank you for Joo, this is a very great stay in Seoul, and i will definitly back if i come to seoul again. Anyeong! 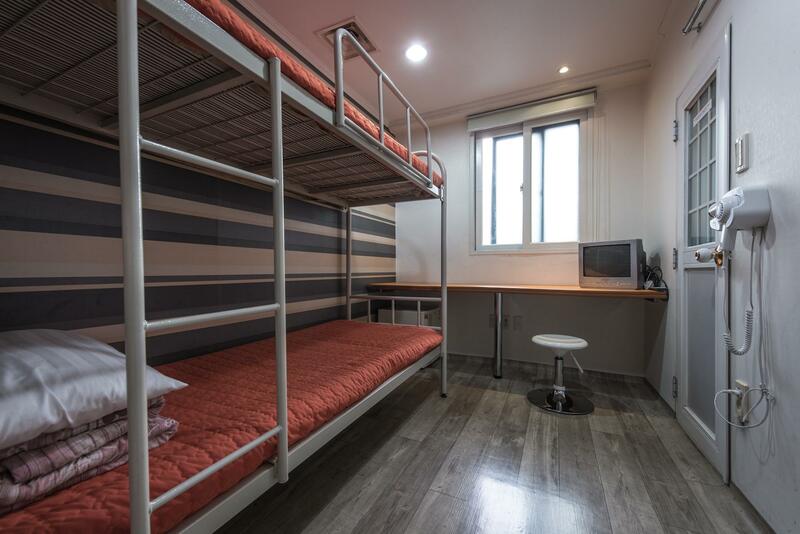 The cheaper ever hostel you can get in Seoul. The staff Lee is helpful. Location are great. Thing that really need improvement is the cleanliness. If u are a budget traveler this hostel will be the best choice. Stayed here with my friend, the room is warm during winter, there was no problem whatsoever staying here, the owner was helpful and kind. 5 stars no complaint! A cute hotel with all your basic need. Location is very near the subway station just a few minutes walk. There are convenient stores around if ever you get hungry. There are diners near the place so it's very convenient. There's an ATM near the subway if you need to get money. You just have to check your itinerary if the place is central to the places that you're going to visit. We arrived early afternoon from Busan. When we checked in the reception is dirty. Our room is not tidy, dust in the floor, window sill, the small refrigerator stinks. Have this feeling that the pillow cover and bed sheet are "RECYCLED". We complained that the AC is not working. ''Twas summer in Korea, temperature is 31 Celsius. The owner told us he is still cleaning the AC and it will be ok by 3pm. We toured Seoul till evening, when we came back, to our surprise the AC is still off and our room is so warm. We complained again, the owner said he is still in the process of turning on the COMPUTERIZED system. After 30 min nothing happened. I went down again, now he told us that the AC has Automatic system that it will cool when our room is warm. OUR ROOM IS SO WARM, why the AC has not turned on? HE OPENED the glass window and turned on the FAN. OMG! We feel so cheated,paid 2 nights.Common TOILET & bath is dirty. BEDBUGS under the bed. We transferred to PRINCE hotel the next day. Though the rooms is rather small, but it is not matter since the place is very clean. The facility such as laundry room, iron, kitchen, hairdryer, etc are available. The staffs are friendly, fluent in english, responsive, and helpful. 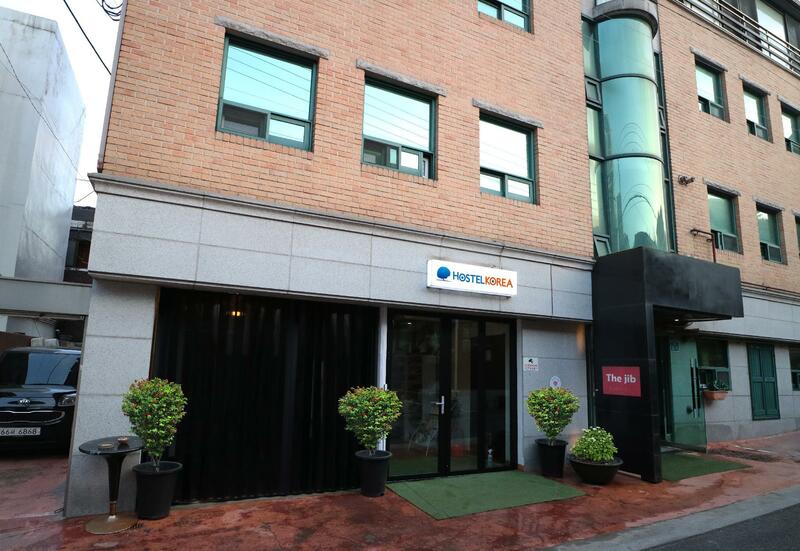 In term of location, this hostel is just about 15 minutes by bus to either Dongdaemun or Myeongdong. This is just the right place for traveler who's looking for affordable price with benefits. If u just need place to rest/sleep & shower, it's a perfect choice. Location wise a bit tricky to find but actually quite easy to locate. Room was clean & comfy. No ensuite heater/air conditioner. They provided basic necessities in the room, WiFi connection excellent. Shared bathroom/shower was ok. The kitchen can be said good with all basic utensils, u can cook anything. Recommended for budget traveler. The location is good, but the staff, facilities and cleanliness is worst. One of the staff is rude, very cheap breakfast. They recycled the coffee that unfinished the day before. Never clean your room, never provide any toiletries as all korean guesthouse and hostel provide. You also need to bring along shower cream, shampoo, toothpaste. Not even repaired the facilities such as the broken sink and toilet. The toilet also not really clean. The location, the people, and the hotel's cool overall vibe. Really great, as an 18 year old guy from Canada working in marketing, this place was really up my alley. I wanted a cool week long vacation in Seoul, and I got it at the Hostel Korea! Would definitely recommend the place to anyone looking for something similar. Easy to find.Close to line 1&2 which can go to almost every place I want to go. Friendly staff. Cheap price. Stayed 4 nights.walking 5 minutes can get trains of line 1&2. Lots of small shops near the hostel so I can try different food or get anything that I need. Hostel even supply breakfast with this cheap price. Room is quiet for sleeping. Stuffs are friendly and can speak English and Chinese. The sharing toilets and showers has some loosening bolts which needs some small maintenance work but still functioning. I stayed here for two days. The bed was a bit small, the blanket was a bit small, and the washroom/shower rooms were a bit small too, but still, I think it was a very good deal for the price. Other than that everything was very nice. The hosts were helpful on my requests, and I regret that I forgot to leave a thank you message to them.